We are sorry, but that variation is not possible. Please select your product from the table below and select a colour. Vita Plan is available from stock in RAL 9016. The colours shown are reproduced as accurately as this process will allow. Please Scroll left & right to see all product information. Stelrad combines the most sophisticated production resources in Europe with substantial investment in testing and verification of performance data, which has helped us create high output radiators delivering heating performance that exceed expectation. We also want to exceed expectations when it comes to customer service, and our experts are on hand to support and understand your technical specification needs. To contact our Aftersales team call 01709 572299. The Vita Plan is available in white (RAL 9016) as standard. The colours shown are reproduced as accurately as this process will allow to the exact colour. Please note: When choosing a colour only the front fascia panel can be coloured. Emitter, top grille and side panels are black. Our Vita Plan radiator features a stunning, simplistic finish, featuring a flat exterior for the ultimate in minimal design. Available in a wide range of heights and widths, the Vita Plan can be tailored to work for any space. 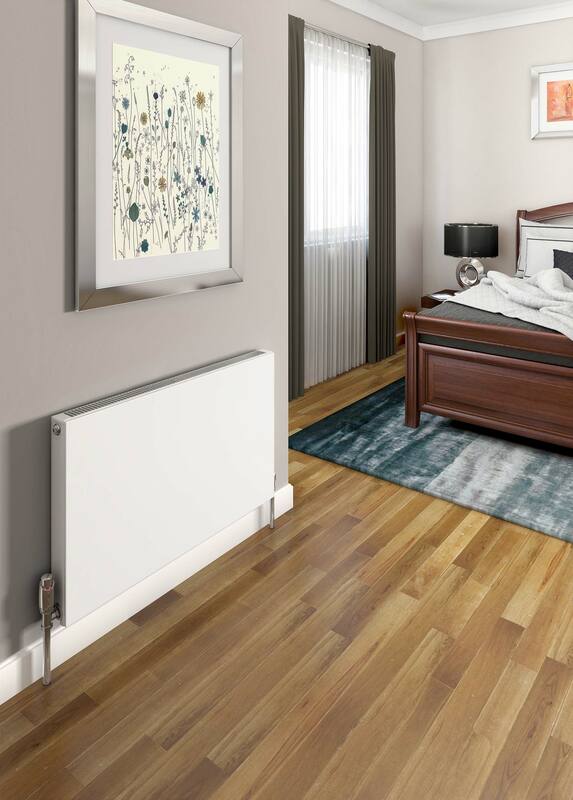 As a measure of all round dependable quality and performance, the Stelrad Vita Plan radiator comes complete with a 10 Year Warranty. Every radiator comes wrapped in robust, practical packaging that will keep the product pristine, right through to handover. Protective through storage and transit, the new packaging design also allows for installation prior to removal. You can follow the simple step by step instructions by using the following link to download the ‘How to bleed a radiator’ advice sheet or click here to watch a short video on how to bleed a Stelrad radiator. It’s a stylish Compact K3 with a compact price to match. See our Vita Compact K3 range below. * Stelrad transactions and deliveries will be facilitated by Stelrad, while working in partnership with Saint-Gobain.